Art League Houston is excited to present The Black Guys, an experimental performance-based exhibition by artists Robert Hodge and Phillip Pyle the Second. Inspired by the well-known Houston-based collaborative artist team The Art Guys (Michael Galbreth and Jack Massing), the artists will recreate a series of five Art Guy performances; Try to Cry!, Dish it Out!, Stop N Go!, Huh? !, The Art Guys Agree on a Painting, as well as present five original performances by The Black Guys. The opening reception is in the ALH Main Gallery on Friday November 14, 6 - 9 PM with an artist talk at 6:30 PM. R U GUYS NOT ENTERTAINED? In the first installment of the R U NOT ENTERTAINED? series, The Black Guys present evidence the St. Louis County grand jury considered while deciding whether to charge St. Louis County police officer Darren Wilson with the murder of Mike Brown. Bureau of Crimes against a Person interviews St. Louis County police officer Darren Wilson. This performance is not only dedicated to Mike Brown and Eric Garner but the hundreds of others slain in America without due process. Art League Houston is excited to present 24 HRS, a new video by The Black Guys, which features a performance by Robert Hodge and Phillip Pyle the Second based on the Art Guys 1995 behavioral event Stop-N-Go, where Michael Galbreth and Jack Massing worked as clerks for 24 hours straight at a Stop N Go convenience store in Houston's museum district. The Black Guys will recreate the performance by spending 24 hours at the Lightnin’ Hopkins Bus Stop, which was designed and created by Robert Hodge to honor Houston blues icon Sam "Lightnin'" Hopkins, and commissioned by Project Row Houses. The bus stop is located on the Project Row House's campus, on the corner of Dowling and Francis. 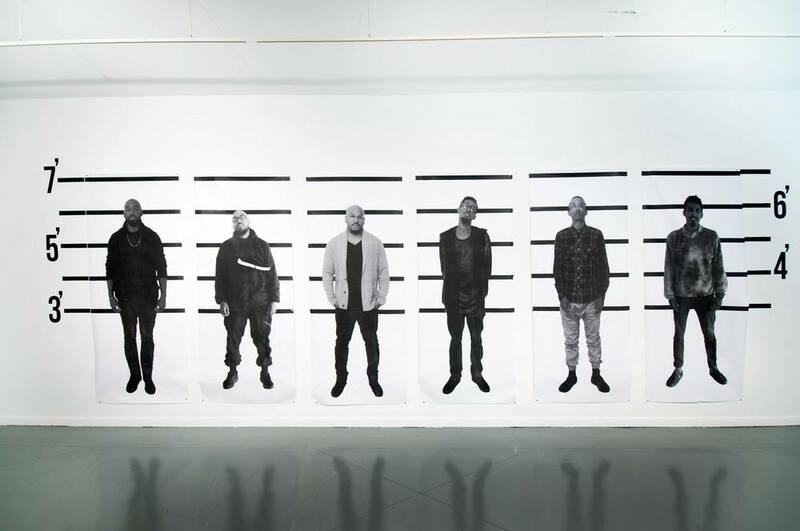 Art League Houston is excited to invite the public to ‘Dish it Out’ the third performance in a series of ‘behavioral events’ by artists Robert Hodge and Phillip Pyle the Second, in conjunction with their exhibition 'The Black Guys", currently on view at Art League Houston. A re-creation of the Art Guys 2012 performance ‘Dish It Out’, The Black Guys are part of the evenings buffet, serving up comments by the audience. On Saturday, January 3rd, 2015, Art League Houston will host the (art) boxing event of the new year. Performance Art champions “The Art Guys” (Jack Massing & Michael Galbreth) look to defend their title against newcomers, “The Black Guys” (Robert Hodge & Phillip Pyle the Second). The match begins at 6:30 PM, LIVE at Art League Houston. The Black Guys are a two man interdisciplinary-based artist duo currently working and residing in Houston, TX. After being in each other’s lives for more than twenty years, the two artists recently began collaborating on projects including the Beauty Box, the Luc Tuymans/Menil banner response, and a performance during the Coming Through the Gap in the Mountain on an Elephant exhibition at the University Museum at Texas Southern. Art League Houston is excited to present AFRIKA GALAKTIKA, an exhibition of new works by Sri-Lankan born artist Rajni Perera. The exhibition features a large-scale mural, and a series of paintings that cross-translate between the visual languages of Indian miniaturist art, Blaxploitation, and the images produced by the Hubble Deep Field Telescope. 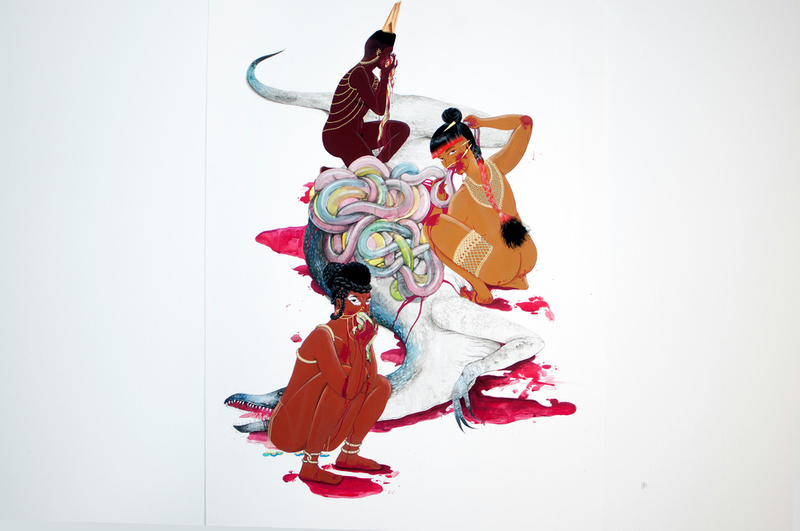 Floating between western and Immigrant culture, the work creates an interesting East-West dialogue of ideas, concerning immigrant identity issues, female sexuality and science fiction and fantasy. The opening reception on Friday November 14, 6 - 9 PM with an artist talk at 7:00 PM. In AFRIKA GALAKTIKA, Rajni Perera’s work takes on science fiction elements inspired by Afro-Futurism, a movement that critiques and re-imagines the experiences and future of Afrodiasporic peoples. The central themes of Neo-exoticism, or perceptions of ethnic female sexuality prevalent in Western culture – a set of (mostly manufactured) ideas used to market products to Anglosaxon consumers, as well as perpetuate an exotified, idealized image of ethnic female sexuality - are explored further. This revolt on the picture plane is personified by the image of AFRIKA GALAKTIKA, a black heroine who travels through space and takes up arms with other warriors in displays of brutal, dynamic and arousing power – a counterbalance to white military spectacle as portrayed in propaganda on screen, print and other advertising media. The body shapes are in opposition to contemporary notions of beauty, and an overt sexiness, both in pose and proportion, and the cultural implications thereof, are brought to the surface. The styles of armor and weapons are referential to and derivative of ethnographic photographs of tribal women still being published today; the legacy of colonial ethnography used to objectify and categorize what is known as the ‘less civilized’ portion of the human population. Deep-space images and the influence of Afrofuturism go hand in hand as an inspirational launchpad. As these images begin to saturate global media, they also crystalize into the imaginations, hopes and dreams of displaced peoples. Other futures beg to unravel; fantastic and explosive, filled with revolution and paradigm shifts of thought and vision. Born in 1985 in Sri-Lankan, Rajni Perera lives and works in Toronto, Canada and received a B.F.A. in Drawing & Painting from Ontario College of Art and Design (OCAD) University. Solo exhibitions include Illuminated Mythologies, Mark Christopher Gallery, Toronto, You Worship Us, Katzman Kamen Gallery, Toronto and The New Archeology/The New Ethnography, Gallery 129, Toronto. In 2014, she was the recipient of a Toronto Arts Council Emerging Artist Grant, and was also invited to be an artist-in-residence at OCAD University. Art League Houston (ALH) is excited to announce the 2014 Texas Artists of the Year exhibition, Three Houses by Havel Ruck Projects. 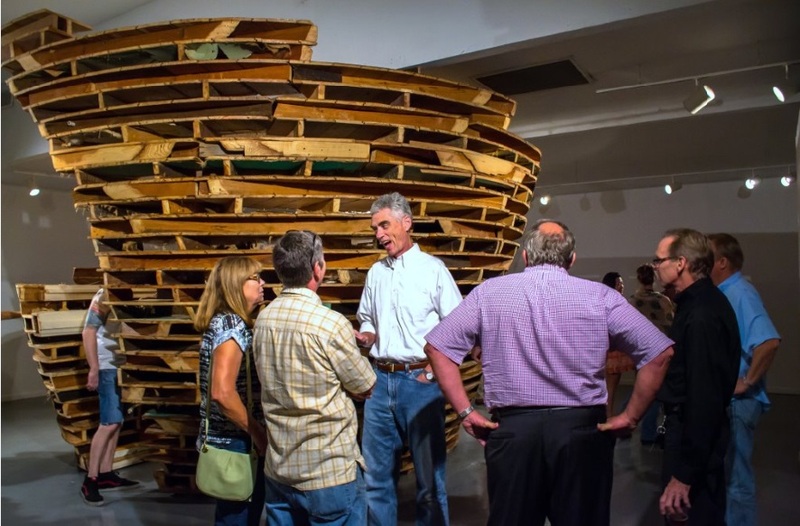 The exhibition features a large scale sculpture in the center of the gallery, made from over sixty large architectural fragments collected from three condemned houses in the Third Ward and Midtown area. Visitors are invited to step inside the sculpture's center, and become engulfed by the re-purposed materials, embedded with decades of inherent characteristics and values typically thrown aside by time, culture, and "progress". An exhibition catalog, featuring an essay by Jim Edwards, is available. Havel Ruck Projects (artists Dan Havel and Dean Ruck) is an artist collaborative that works in public and quasi-public environments to re-purpose architectural structures and remnants of no perceived market value into works of art. By deconstructing and reconstructing the physical construction of unremarkable spaces and places, their interventions bring attention and recognition to under-appreciated and ordinary buildings and their histories. ARTISTS: A.C.M, Jesse Aaron, Hector Alonzo Benavides, Carl Block, François Burland, David Butler, Henry Ray Clark (a.k.a. "The Magnificent Pretty Boy"), J.J. Cromer, Thornton Dial, Sam Doyle, Howard K. Finster, Roy Ferdinand, Ezekiel Gibbs, Alan Wayne Bradley (a.k.a “Haint”), Bessie Harvey, Bill Haveron, Ben Hotchkiss, Billy Ray Hussey, Gregory Warmack (a.k.a “Mr. Imagination”), James Harold Jennings, Frank Jones, Frederick Harry Kahler, Solange Knopf, Joel Lorand, Isao M'onma, Ike Morgan, Sister Gertrude Morgan, Winfred Rembert, Jimmy Lee Sudduth, Rev. Johnnie Swearingen, Bill Traylor, Mose Tolliver, Patrick Turk, Timothy Wehrle, Bobby Lee Williford, Grace and Clarence Woolsey, Malcah Zeldis, Domenico Zindato and Carlo Zinelli. Read more about the artists featured in the 2014 Texas Patron of the Year Exhibition here. Art League Houston (ALH) is excited to present Aujourd'hui, Causons Avec Nos Aieux: Intimate and Foreign, an exhibition of work by Cameroon-born and Houston-based artist Rosine Kouamen. The exhibition features a selection of sculpture and textile-based works that explore themes of ancestral history and genetic nostalgia, in relation to cultural traditions, spirituality, morality, ethnicity, geography, beauty, and ethics. 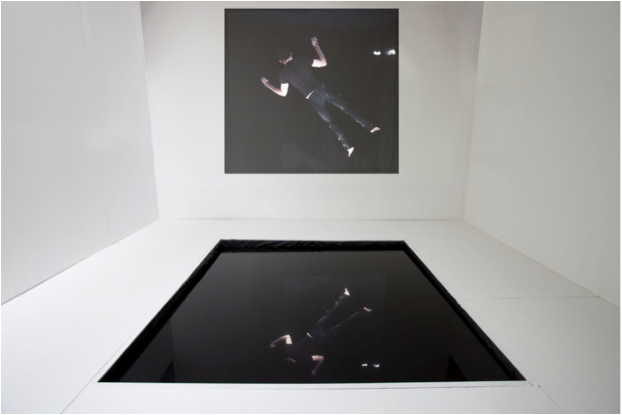 Art League Houston (ALH) is excited to present Jump Cut, an exhibition of new work by Houston-based artist Peter Lucas. The exhibit features a series of collages, altered media objects, and video works that playfully explores the nature of montage through simple, bold slicing and splicing of imagery. Jump Cut playfully and aggressively re-frames and combines elements of photographs, illustrations, typography, and sound. The show’s title references a particular kind of discontinuous splice found in film editing, and more generally calls attention to the assertive act of cutting and the resulting “sparks” in the hard transitions of the work. Art League Houston is excited to present the 2014 ALH INSTRUCTOR/show, a group exhibition featuring over twenty works in jewelry-making, sculpture, mixed-media, ceramics, print-making and painting by some of Houston’s most exciting emerging and established artists who teach at the ALH School. Participating artists include Kelly Alison, Ruben Coy, Caroline Graham, Steven Andrew Hook, Lisa Marie Hunter, Jessica Kreutter, Polly Liu, Lovie Olivia, Steve Parker, Phillip Pyle II, Preetika Rajgariah, Cary Reeder, Armando Rodriguez, Mary Rogers, Anat Ronen, Carrie Schneider, Beth Secor, Laura Spector, Myke Venable, Jason Villegas and Melissa Walter. Art League Houston is excited to present the 2014 ALH STUDENT/show, a group exhibition featuring over one hundred works in jewelry-making, sculpture, drawing, mixed-media, ceramics, print-making and painting by Art League Houston students who have taken classes during the Spring 2014, Winter 2013, Fall 2013 and Summer 2013 semesters. Art League Houston's artist residency program, ArtBound!, is a curriculum-based, in-school arts program at H.I.S.D. Title-1 elementary schools with little or no arts instruction. Classroom teachers participate in the planning process to ensure that the residencies support and enhance their classroom objectives. Each residency has an Art League Houston Teaching Artist visiting a school eight to ten times during a semester, working with three classrooms per visit. For each visit, the Teaching Artist works with each class for approximately one hour. Art League Houston Teaching Artists are professional artists and experienced teaching artists. The residencies, including art supplies, are offered free of charge to the participating schools. In addition, the ArtBound! residencies connect to H.I.S.D. curriculum and is provided primarily to grade levels third through fifth. 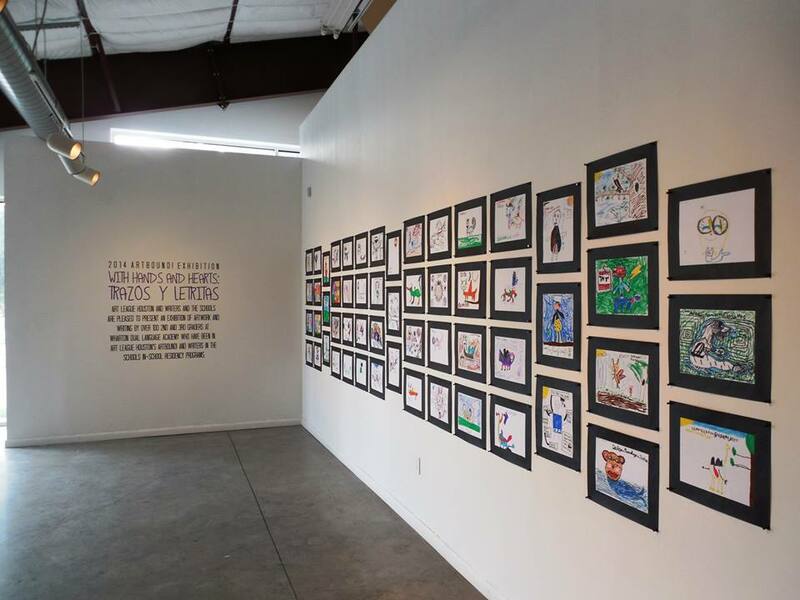 On Saturday, April 12th 2014, the students from 2nd and 3rd grade from Wharton Dual Language Academy presented the artwork and writing created during the 2014 ArtBound! residency program. The residency, which took place in Fall 2013 and Spring 2014, is a collaboration between Art League Houston and Writers in the Schools and resulted in an anthology of the students drawings and writing. The exhibition and reading held at Art League Houston’s Front Gallery is the culminating event of the program. Boredom. We all experience it; artists are not exempt. The life of the creative man is lead, directed and controlled by boredom, wrote Susan Sontag. Avoiding boredom is one of our most important purposes. The artists in The Function of Attention avoid boredom through focus and obsession: stopping and snapping minuscule moments at one’s feet; staring, pondering the significance of an everyday object for fiftieth time. These moments propel them into the process of making art. Matthew McEver’s concentrated images turn tiny anthills into aerial documents of crop circles or dirt farms as seen from far above. The repetition of the circle, textured backgrounds and muted palette create a mini earthwork mosaic. Shawn Mayer’s images of everyday, disheveled towels turn into comical portraits in which the viewer is left to decode the disposition of the towel based solely on its draping. Daniela Galindo's smaller photographs have an autobiographical quality. The content and composition of each image suggests that Galindo has preserved that childlike sense of wonder and curiosity about the world. Art League Houston is pleased to present PROOF, a dynamic multimedia exhibition by Studio Enertia: a collaborative project by Houston performer and composer Lisa E. Harris, and Pittsburg-­based artist Alisha B. Wormsley. The exhibition features a selection of sculptural installation, performance art, video and photography that bring together five major bodies of work all exploring the artists ongoing interest in themes of the African diaspora, social justice, and urban mythology. PROOF transforms the gallery into an incubator­-like space; where the artists will experiment with combining individual narratives that reference global tradition, nostalgia and futurist dreams, as a way to incite new dialogues on contemporary issues impacting people of the African diaspora. The exhibition is designed to create an immersive environment where the artworks are meant to be experienced in context with each other rather than as individual units. 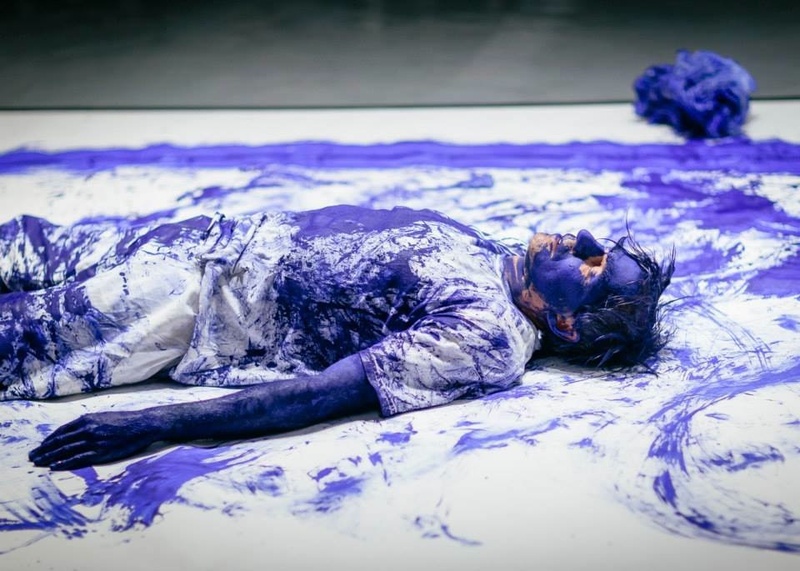 Art League Houston is excited to host Lone Star Explosion 2014, a night of diverse and experimental performance art by a selection of local, national, and international artists in conjunction with Houston's second International Performance Art Biennale. Participating artists include: Fito Segrera (Colombia), Carlos Martiel (Cuba), Elia Arce (Costa Rica), Aisen Caro Chacin (Venezuela/ US), Michael Anthony Garcia (Austin), Nestor Topchy (Houston), Autumn Knight (Houston) + more. 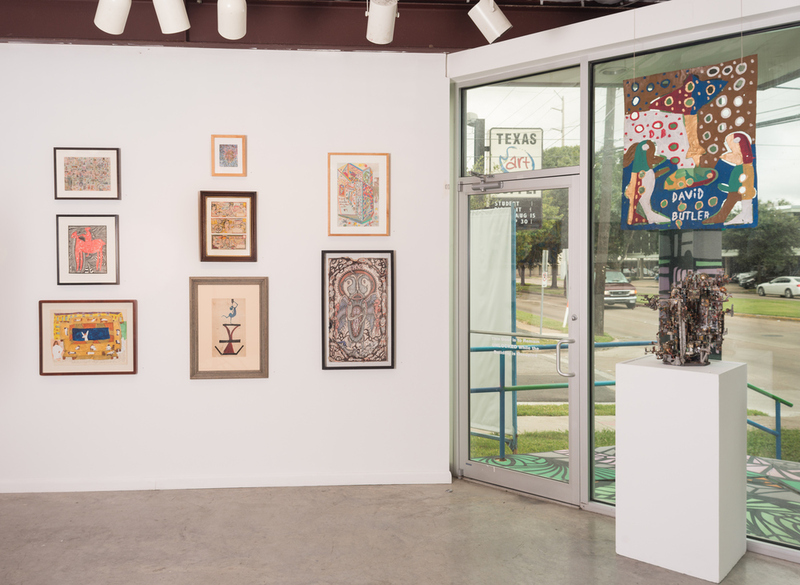 Curated by local artists Jonatan Lopez and Julia Wallace, each visiting participant has been carefully selected based on works that offer insight and expansion on themes and practices currently explored by Houston's top performance artists. Lonestar Performance Explosion 2014 was created as an incubator-like space for performance artists to develop their practice and challenge the conventions of live performance. Tickets can be purchased online for $12.00 at lonestarlive.org. Art League Houston and Fresh Arts are excited to invite the Houston artist community to an Artist Town Hall Meeting on Tuesday, February 18, 2014, from 6:30 to 8:30 p.m. at the Eldorado Ballroom (2310 Elgin St, Houston, TX 77004). The focus of this meeting is to collectively discuss the growing needs of artists living and working in the Houston area. Topics of discussion are open but could include issues such as artist stipends, public art and exhibition opportunities, affordable housing, studios and health insurance. The Town Hall format will be interactive, offering multiple opportunities for participants to offer input and ask questions. The meeting will be facilitated by three respected Houston artists: Ayanna Jolivet Mccloud, Carrie Schneider and Patrick Renner. Their role will be to help the audience identify some of the needs, questions and concerns that the Houston artist community is grappling with today and issues for the future. Art League Houston and Suplex are pleased to present a special one week pop-up exhibition by artist Ryan Hawk. The exhibition will feature a series of large-scale installations, prints, drawings, and video works that investigate reoccurring themes of inner-subjectivity and reflective consciousness, illusion, and time-based transformation. Hawk uses both live performance and performance-for-camera as the foundation of his installations and sculptural objects, often utilizing current technologies to investigate the relationships that form when high modernist aesthetics and performance/action art are framed in a contemporary context.